When traveling abroad, paying a premium in foreign transaction fees on your credit card is nothing new. Even savvy consumers might not know that debit card transactions, including ATM withdrawals, can also be subject to expensive transaction fees. Smart cardholders can avoid paying too much in debit card foreign transaction fees by reviewing the fees charged by different banks. 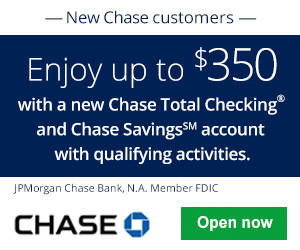 Best Bank Deals, Bonuses, Offers, & Promotions here. Meeting Direct Deposit Requirements for bank accounts. Which banks trigger a Hard Pull or Soft Pull when opening accounts. See which banks allow credit card funding for opening deposits. Flat fees charged per transaction: These are typically a fixed-dollar-amount fee charged for every ATM withdrawal or transaction. The flat fee usually ranges from $2 to $5. This is similar to the type of fee most banks charge for out-of-network ATM transactions. Foreign transaction fees: This is a conversion charge levied by the bank for transactions conduction in a foreign currency. This kind of fee is usually charged as 1% to 3% of the total transaction. When making an ATM withdrawal, banks will usually combine both types of fees. This means you pay the flat fee for using your debit card at a foreign ATM, plus you pay a percentage of the total amount of cash you withdraw. If you use your debit card in a transaction outside of an ATM, you’ll still pay the foreign transaction fee, but not the flat ATM withdrawal fee. Less commonly, banks will charge only a flat fee for ATM transactions. These banks usually charge a percentage fee, but not a flat fee, for other foreign transactions. Below, we will take a look at the banks with the lowest foreign transaction fees. This is Capital One’s online-only banking option. Capital One 360 customers don’t pay any flat fees nor any foreign transaction fees when using their debit cards abroad. According to Capital One, MasterCard may assess a percentage fee, but it’s “covered” by Capital One. Keep in mind that this only applies to Capital One 360 customers; consumers who bank with Capital One through a physical branch are subject to normal foreign transaction fees. See our list of the best Capital One 360 Bank Deals, Bonuses, Offers, & Promotions. Banking with CitiBank means you can use your CitiBank card to withdraw cash at CitiBank-branded foreign ATMs with no additional fees of any kind. Customers of CitiBank will pay a $2 foreign transaction fee plus a 3% conversion charge on any out-of-network ATM transaction. But, there’s good news: CitiBank has a large international presence, and they’ve made it easy to find a CitiBank location abroad online at this page. See our list of the best Citibank Deals, Bonuses, Offers, & Promotions. Discover Bank customers can use their debit card at foreign ATMs and make other transactions abroad with absolutely no fees. The catch is that Discover Bank cards only work in a select few locations outside the United States, like Canada and Mexico. 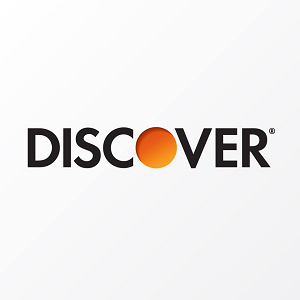 See our list of the best Discover Online Bank Deals, Bonuses, Offers, & Promotions. Banking consumers who have an opening balance of at least $500 and a monthly average balance of $3,500 or more can benefit from First Republic Bank’s lack of foreign transaction fees. First Republic bank offers free use of 800,000 ATMs across the world and free withdrawals to available limits. First Republic Bank will even refund ATM fees charged by other banks, and there is no charge for other kinds of transactions. Remember that you must have an average monthly balance of $3,500 to maintain these benefits. The Schwab Bank High Yield Investor Checking Account will reimburse any ATM fees from cash withdrawals worldwide, regardless of the network used. And there are no currency conversion fees for debit card transactions in a foreign currency. See our review of the Charles Schwab’s Checking Account. USAA: USAA Bank refunds up to $15 in other banks’ ATM usage fees each month and does not charge a fee for the first 10 ATM withdrawals. Subsequent transactions will be charged $2.00 each. A 1% foreign transaction fee applies to withdrawals outside the United States, however. Here’s more foreign ATM withdrawal fees and foreign purchase fees data on other major banks. *No ATM fee for the first relevant transaction for those with Value Checking. *No ATM fee for Premium and Platinum checking.